Several decades later, we’re still not close to having a robot-person like Vicki (see Small Wonder! ), but we just might have something a step closer in the Zeno Boy Robot. The Zeno Boy Robot is the creation of Hanson Robotics (I highly doubt there is a connection to the boy band The Hansons, but I find the coincidence amusing), and it is not the first of its kind. The current version is actually a reincarnation of an earlier model, this time with improvements to make the robot resemble humans more closely. 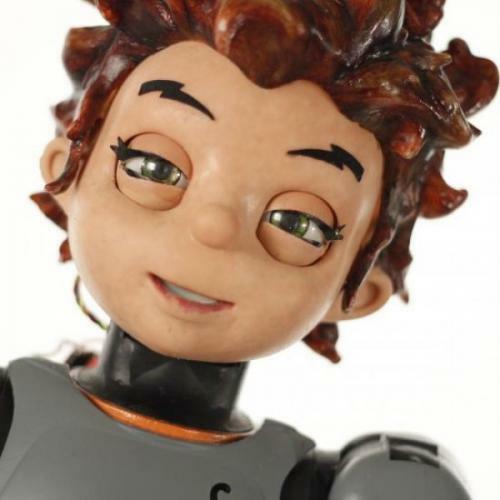 The Zeno Boy Robot is made in – wait for it – China and measures in at 27 inches tall. Not exactly as lifelike as Vicki, but this robot does have features that give it a humanoid touch. Take a look at its head, which is supposed to be the best thing about the Zeno Boy Robot. The head is made from a material called Frubber. FACE + RUBBER. Get it? Funny the chosen name may be, but Frubber allows the robot to behave somehow like the skin that covers our bodies. Not exactly, but better than hard plastic used for dolls and other robots today. The Zeno Boy Robot can “see” with its eyes, thanks to high def cameras. It has 37 degrees of movement, which is the top of the line for Hanson Robotics. From an intro video, it seems that one of this robot’s main goals is to help with therapy for conditions such as autism. In the near future, we should be seeing its sister, Alice, and some other smaller cousin robots.